Toyota’s shuttered Altona plant is set for a new lease on life, with a plan launched to develop a green hydrogen transport hub on the site in Melbourne’s west. 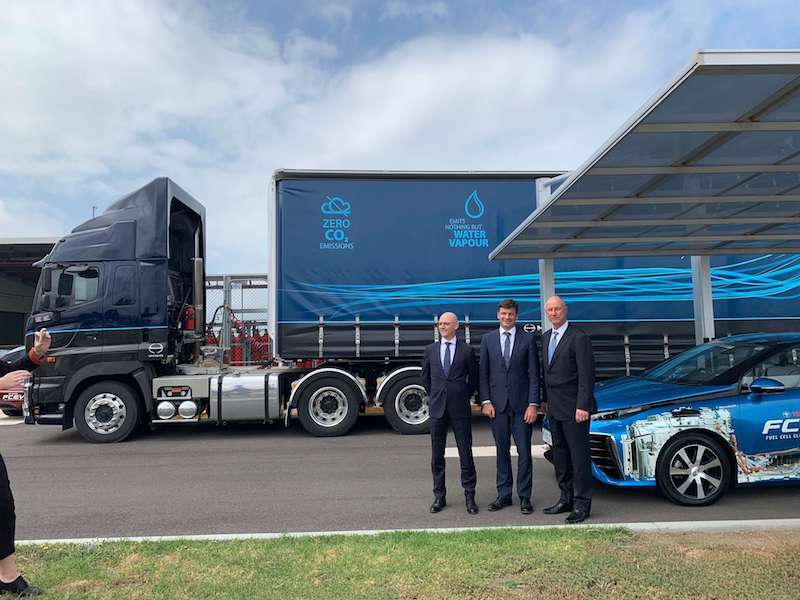 Under the new plan, the multinational car manufacturer has pledged to develop the $7.4 million Toyota Australia Hydrogen Centre to demonstrate an end-to-end process for the production, storage and use of renewable hydrogen. ARENA has announced that it will provide $3.1 million towards the pilot project. The Hydrogen Centre will include solar PV and battery storage to contribute towards the energy requirements for the production of renewable hydrogen via electrolysis. The project aims to demonstrate the end-to-end process from production using an electrolyser, through to compression and storage of hydrogen for use in hydrogen fuel cell vehicles. The Hydrogen Centre is the first step towards Toyota’s broader transformation of the decommissioned car manufacturing plant into an EcoPark and centre of excellence. With a target of reaching zero emissions from its sites and vehicles by 2050, Toyota will install solar panels and battery storage to produce more than 60 kilograms of renewable hydrogen through electrolysis every day. At the announcement, Toyota Australia’s Vice President of Sales and Marketing Sean Hanley said the company developed the idea when they made the difficult decision to cease production at Altona. He said ARENA’s funding, together with $4.3 million from Toyota, will establish a state of the art hydrogen centre that will make a contribution back to the community that they have operated in for more than 50 years. “It’s no surprise that hydrogen has the potential to play a pivotal role in the future of energy, both here in Australia, but also globally,” Hanley said. He identified hydrogen as the next step in a journey Toyota has been on for more than 18 years, since they launched the Prius hybrid vehicle. “It can be used to store and transport energy from renewable sources, including wind and solar, to power many things. For example, Toyota is using hydrogen in fuel cell forklifts in the warehouse, right here in Altona now,” he said. The facility will include an education centre and Victoria’s first commercial scale hydrogen vehicle refuelling station infrastructure to allow refuelling of hydrogen fuel cell vehicles. Toyota believes that the new centre will demonstrate that hydrogen is a viable fuel source for transport and storing renewable energy. Seen as a fuel of the future for decades, Hydrogen is set to play a role in the transition to a low carbon economy. 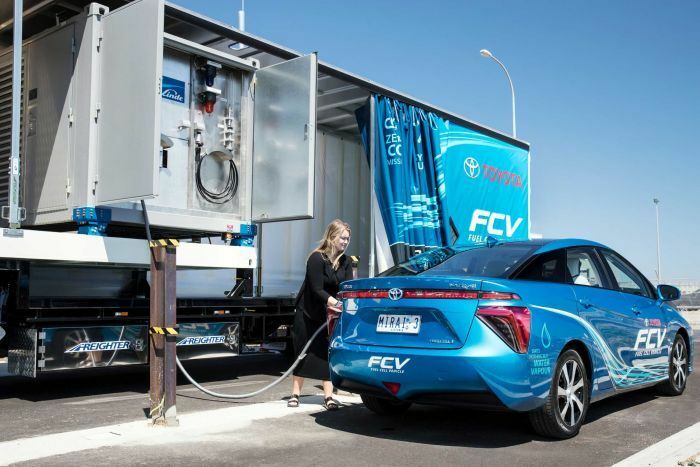 A report prepared for ARENA by ACIL Allen Consulting showed that Australia is well positioned to take advantage of a future hydrogen export market. Hydrogen could be a way for Australia to export renewable energy to other countries, particularly in Asia where demand is growing. South Korea has announced plans to build 100,000 hydrogen fuel vehicles by 2025, and Japan has set a 10-year strategy to become a large scale importer of renewable hydrogen. 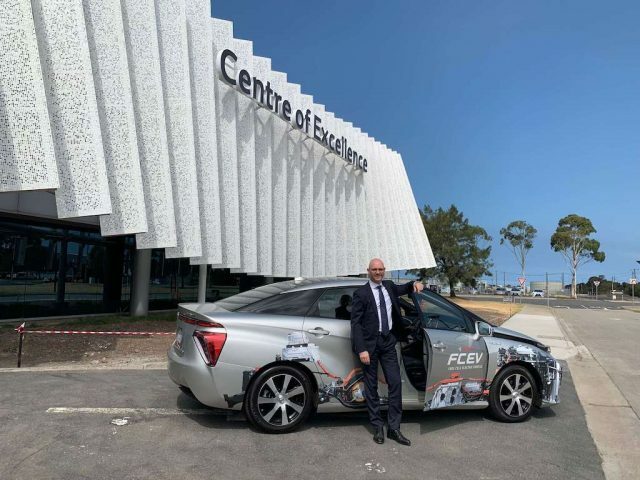 ARENA Chief Executive Officer Darren Miller said Toyota is paving the way for more renewably powered vehicles in Australia, where electric vehicle uptake has lagged behind other countries. “The demonstration of low cost hydrogen production and distribution is key to the uptake of hydrogen-powered electric vehicles,” Mr Miller said. “Australia holds a competitive advantage to play a global role in the emerging hydrogen export market due to our existing expertise and infrastructure. As the world’s leading exporter of liquefied natural gas, and with coal our most profitable export product in 2018, the development of a renewable hydrogen export industry could help to maintain our place as an energy export powerhouse as the world looks to decarbonise. Toyota closed its Altona manufacturing facility in 2017, more than two decades after operations were shifted from their original Port Melbourne factory. Between the start of local production in 1963 and 2017, the Japanese manufacturer built nearly 3.5 million cars in Australia.